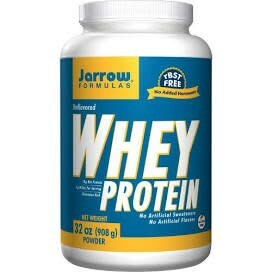 Mix 1 scoop (23 g) of Jarrow Formulas® Whey Protein with 4 to 6 oz. of cold water, soy milk, juice or your favorite beverage. For a protein smoothie, blend with crushed ice and add juice or fruit to taste. May also be used with cereals, yogurt or pancakes to increase the protein in the diet. 100% Ultrafiltered Whey Protein and lecithin (from sunflower).